There is going to be famine, have you Prepared? HomesavingsThere is going to be famine, have you Prepared? Savings is an ancient solution to food and financial shortage. The story of Joseph (Yusuf) the dream interpreter as seen in the Bible and Qur’an is a very good example. When the king dreamt about famine as interpreted by Joseph (Yusuf), He gave them the solution to the future occurrence. The solution is simple. They should built food and other resources reservoir and make sure at least 10% of every food and other resources cultivated are deposited for safe keeping. Thank God they yield to that advice, when the famine eventually occurs, not only does it save their nation but other neighbouring country. We know it is good to save for the raining day or better towards a reasonable target, but the truth is; it’s a culture that is not easy to cultivate, a discipline that is strenuous to develop. 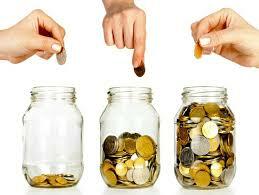 In money management towards financial freedom, savings is the first rule after earning it all. They both will have a story to tell you in the future; those who manage to save no matter how small it is and those who fail to save because it is too small or just because of their nonchalant attitude. Even if you claim you don’t want to be rich, I am sure you won’t as well want to go hungry as an option. In other word if you choose not to save towards financial freedom, then start thinking of unexpected occurrence that might happen in the future; lost of job, accident, unpaid wages and salaries, sickness etc. All this and many more are inevitable and unexpected occurrence that will need money. If you fail to save out of the little you are making now what will happen. The above is just for those who are detached to accept the reality of being financially free, having the opportunity to do what they want, when they like, not because of money, but to contribute to the world development out of the money after become rich. It is selfish and cowardice to shies away from this truth of being financially free. Even if you will not establish or contribute to any philanthropy activities when you become rich, there is no way you will make it big legitimately without contributing to the economic activities in your country through job creation and tax. That alone means a lot, which start from savings. Above all, our peace of mind can’t be compromise, saving money to cover our basic expenses is even enough while you stay within your means, but I will not be a party of being an average when I have the opportunity to make it big starting from saving some money regularly out of the little I am making now. If you don’t earn much and you can barely pay your bills, the idea of saving money might sound impossible. Remember, a journey of thousands mile start with first step. If you fail to take the first step, chances are your situation will remain the same for a long time. Expert do advice 10% of your earnings as found in the Biblical and Qur’anic story, which is nice. To me, I think the starting point is the discipline, you have to stop taking or doing things that is not necessary rather harmful; smoking, soft drink, party and the likes. All this are habits you cultivated and get addicted to, you can do the same with savings. I don’t know why you have to take soft drink every now and then when you know taking water is healthier. Calculate the amount you spent on that monthly and others like that; you will see the amount you could have in your savings account doing away with those things. I know it’s not easy, it takes discipline. To start with, save every time you earn money before you spend, even if it’s a gift, don’t spend then save the rest. Joining a savings could help in this situation, I mean a club that rotate contribution among members until each person receive on weekly or monthly basis, why this is not totally advisable, facing the embarrassments of being indebted to other members will go a long way to help your situation harnessing your discipline. Budgeting is a very important aspect of cultivating savings culture. All its takes is to discipline yourself to set percentages of every earnings for different activities in which saving should be the first to be considered. While additional and unexpected earnings or gift should go straight to your savings. Saving money is one thing, putting it the right channel towards financial freedom is another thing. If savings toward your financial freedom is the chief aim then I advice you start or joining investment club. Not only will your money start working immediately, you will also have the opportunity to learn basic financial skills as one major important culture of investment club. I have talk about savings club previously, I know this is not too guaranteed, anything can happen with your money as a result of members defaulting. If your bank is close by, it is better to cultivate that as habit, taking your money directly to bank when it is handy. Investment club seems to be better alternative. Apart from your money started working immediately, they channel their money to bank even before investing it, not just for safe keeping but also for accountability and auditing. Creating wealth out of your savings require you guide it against inflation. In other word, you have to move it into money generating activities instead of it being stagnant. Bank interest cannot recoup the lost in values caused by inflation. In this case investment club will be a better alternative or better start learning how to invest your money in stock market, commodities, real estate etc. The training is even important as your first investment towards financial freedom.